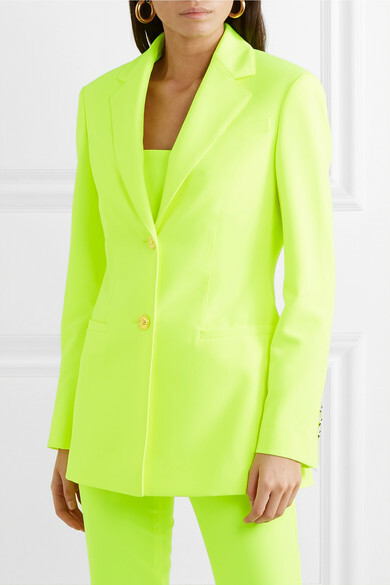 Versace's 'Acid Yellow' blazer is for the woman who can handle an intense injection of color. 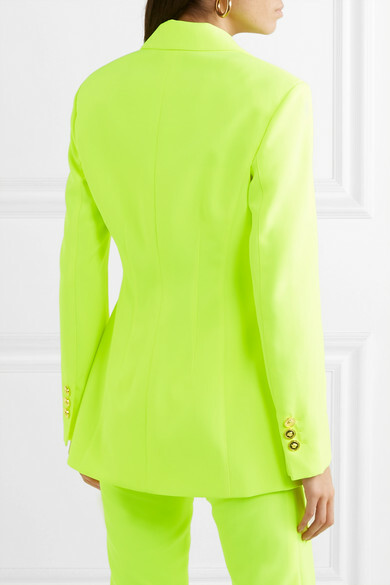 Made from soft cady, this blazer has strong, padded shoulders and is darted at the waist to accentuate your figure. 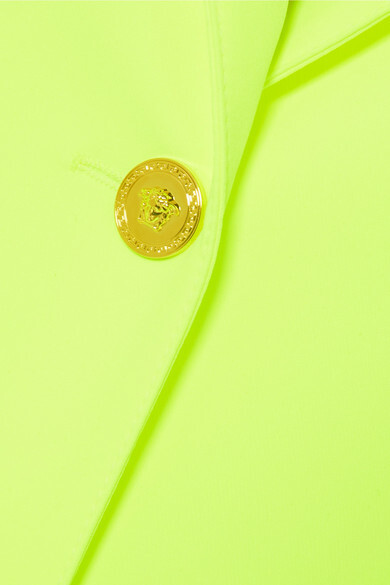 Wear it with the coordinating pants and match your jewelry to the embossed gold buttons. Outfit 1: Versace Top, Givenchy Shoulder bag, Stella McCartney Mules, Laura Lombardi Necklace. Outfit 2: A.W.A.K.E Shirt, Saint Laurent Sandals.